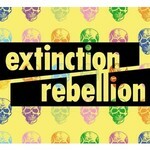 Contribute to 2019 Extinction Rebellion - Choose life & rebel with us. Rising Up Extinction Rebellion requests some further information. Rising Up Extinction Rebellion is managing the funds for this campaign. Rising Up Extinction Rebellion is a verified organization.